Last year TtMadrid partnered with Kelele Africa, the association dedicated to helping the Kasenda village in Uganda. We participated in one of their projects and awarded a scholarship to one of the local kids. You can find out more about it here. The team of Kelele Africa is back in Madrid after a wonderful summer spent in Uganda where two groups of volunteers organized activities, workshops and trainings for the local community. The organization has shared a lot of updates from the sights and once again we at TtMadrid feel incredibly honored to have an opportunity to participate in projects like these. Volunteers started with the theater, sewing, drawing, reading, music and creative writing workshops with all the children of Kumwenya School. One weekend they even set up a Gymkhana with about 400 kids from the area. The Kumwenya race was organized for the third consecutive year, awarding many prizes to the participators. During the summer they offered computer classes to the local teachers, organized training sessions on debate, taught how to create budgets and improve physical education classes. Kelele Africa built a first greenhouse, which will serve to supply Kelele Lodge and if it works well, it can be later expanded to grow foods that are difficult to obtain. Team also included a nurse who worked in the clinic to promote family planning, in addition to explaining the diabetes and giving some first aid training for the diabetic patients. 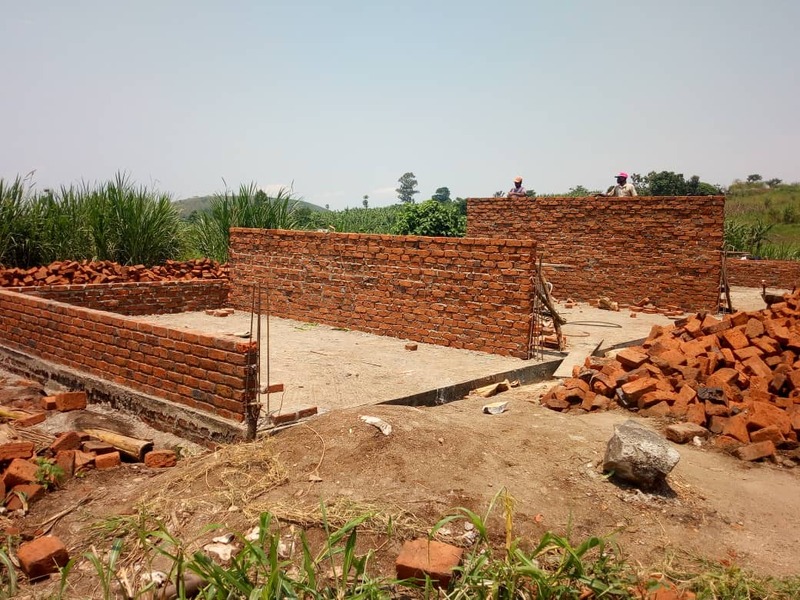 The finishing steps of the Primary construction have begun and the school will get four more classrooms, a teachers’ room, an art room and a library by the end of January. 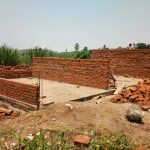 Two new teachers are starting at the school, replacing those who finished their contract after spending almost three years in Kumwenya. In addition, Eco-school projects keep growing. 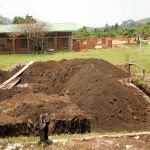 Each class has its garden to take care of and Kelele Africa rents half an acre to plant vegetables for the school dining room and to sell in the vegetable markets. In the month of August the green flag delivered a year ago by CECOD was raised. This is recognition of the work that takes place in Kumwenya School. 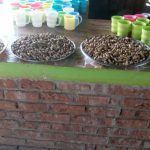 The children have just picked up their first crop of peanuts and they served it for breakfast one morning with a glass of milk. In the month of September and with the collaboration of Ong Diaguitas, a three-day beekeeping workshop will be given by an Australian beekeeper that lives in Uganda. The sewing workshop continues and a new six-month course begins this month. It might later be moved to the school grounds with a small shop section where students will be able to sell their creations. Kelele Africa has many more projects going on and you can learn all about those on their webpage. Follow this link to support them and find different ways to help the organization.